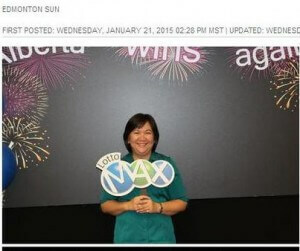 Edmonton resident Mary Ann Estanislao believes that if you are meant to win it takes only one ticket to land a lottery jackpot; that is why she just buys one ticket per draw. On the October 24 draw, she was proven right. She had bought just the one Canada Lotto Max ticket for that particular draw and, as luck would have it, it was the only ticket which matched all seven numbers drawn. She was the solo winner of a $15 million jackpot. Estanislao has always talked to her family about what she would do if she won the lottery. Now all of those musings are about to come true. The list includes paying off mortgage, traveling and charitable donations.